Dealers will begin taking orders for the new Cadillac sedan this fall. It is being built, following a $211-million investment, at General Motors Co.’s Lansing Grand River plant. Pricing will be announced at a later date. 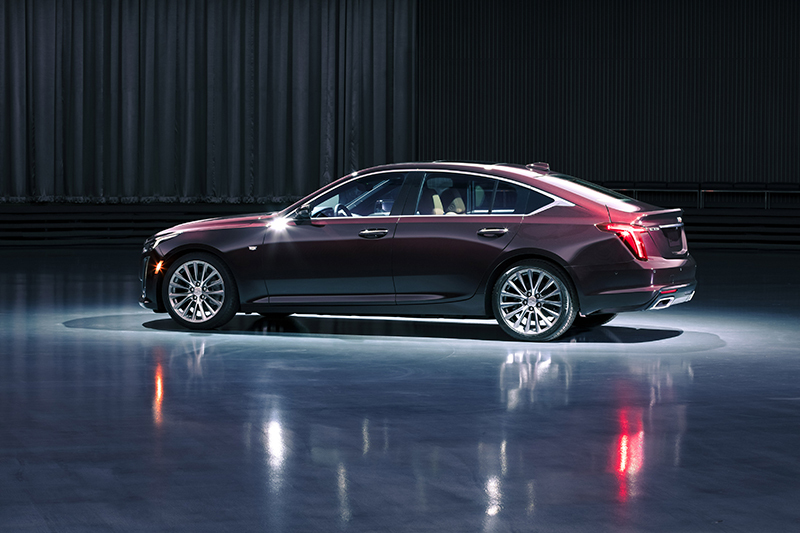 Cadillac says the CT5 compact sedan advances the brand’s legacy with design, performance, and comfort, and is supported by its latest technologies such as Super Cruise, the world’s first hands-free driver assistance feature for limited-access freeways. Super Cruise enables hands-free driving on more than 130,000 miles of limited-access freeways in the U.S. and Canada, using LiDAR map data, high-precision GPS, a state-of-the-art driver attention system, and a network of camera and radar sensors. The driver attention system helps keep drivers engaged by detecting and signaling when drivers need to pay more attention to the road. At launch, the CT5 model range will include Luxury, Premium Luxury and Sport, with a Platinum package available on Premium Luxury and Sport models. In addition to Super Cruise, the CT5 features a new Escala-inspired fastback design that underscores its refined ride, complemented with a driver-centric interior that blends high technology and high-touch elements. Luxury and Sport models allow customers to tailor the car to their style preferences with unique design and trim. A standard 2.0L Twin-Scroll Turbo engine and optional 3.0L Twin-Turbo V-6 on Premium Luxury and Sport models. 10-inch-diagonal dashboard screen, as well as intuitive controls, including a rotary controller. Adaptive remote start, cabin air purification ionizer, and available front-seat lumbar massage. Safety alert seat and available rear camera mirror with zoom and tilt adjustment. Forward collision alert, low-speed forward automatic emergency braking, and front pedestrian braking. Additional driver assistance technologies are available including: advanced adaptive cruise control, enhanced forward automatic emergency braking, automatic parking assist with braking, HD surround vision with recorder, rear pedestrian detection and alert, and reverse automatic braking.